When it comes to building an SEO strategy, many marketers (especially those who don't spend a significant amount of time with SEO) start off by asking a few key questions. That's a good start, but only if you're asking the right questions. 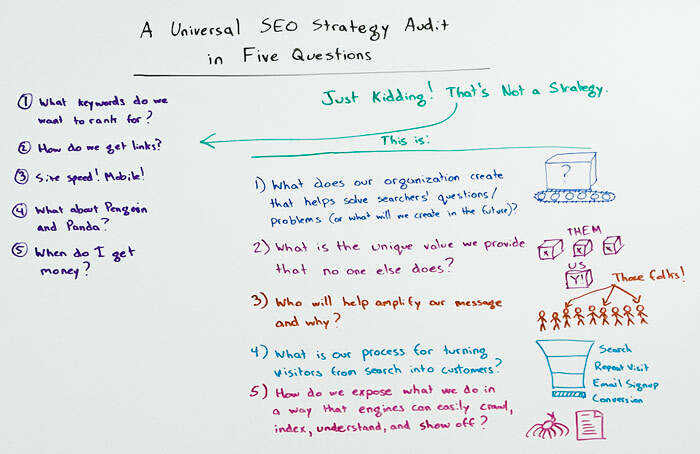 In today's Whiteboard Friday, Rand puts the usual suspects on the chopping block, showing us the five things we should really be looking into when formulating our SEO strategy.